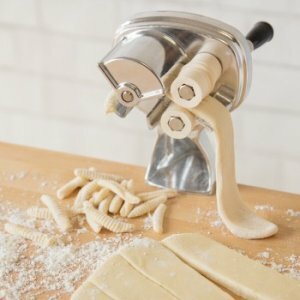 Just like your Nana used to make, the Bethany Housewares Cavatelli Maker lets you create a variety of traditional Italian pastas with ease. And with the included recipes, you'll be able to make everything from dumplings and seashells to delicious gnocchi just like a professional without all the trial and error. Buon appetito!